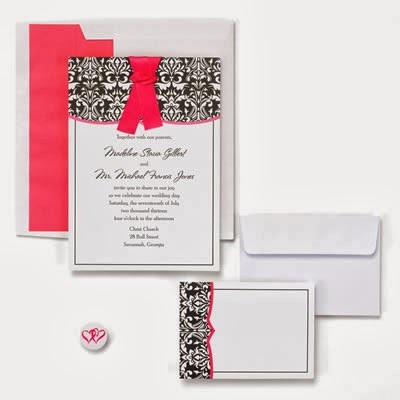 Your wedding invitations make the very first impression to your guests about your wedding style. The best invitations are not necessarily the most expensive invitations. The best invitations are the ones that truly reflect the style, mood, and theme of the wedding and of the bride and groom. Here's an exercise to help you select the perfect invitation for your wedding. This part is not ultra important to me. I'll probably order the least expensive style in the catalog. I need to save money. I will probably make them myself. Budget really isn't the issue. I want to make them myself so they have a personable quality to them. If you answered all the questions above, you are well on your way to selecting the perfect wedding invitation. Now all you have to do is take each of these elements and find an invitation that best reflects what you have outlined. 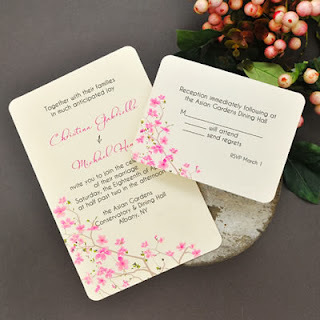 Here are a few great resources for your wedding invitations. Many have fantastic design and preview tools to create your invitation online before ordering.